Provision of accurate measured building survey of one of London’s most recognisable and internationally-renowned landmarks. 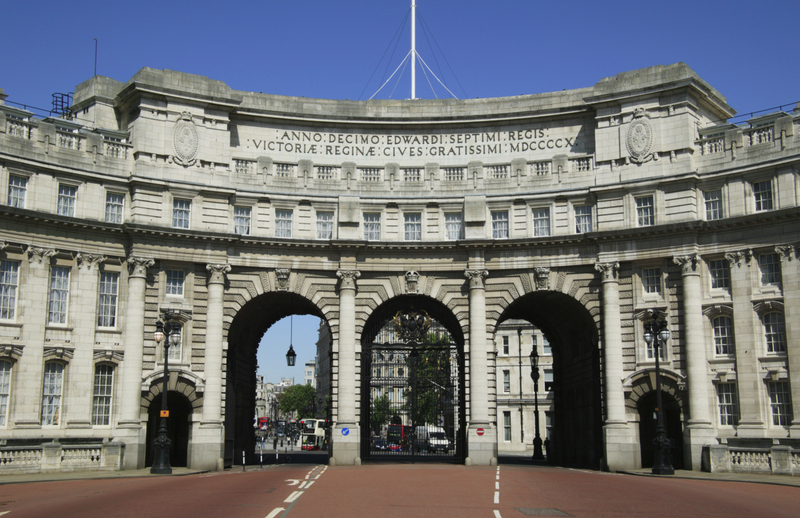 On behalf of Her Majesty’s Government, Savills was appointed as the sole exclusive agent to offer for sale the long leasehold interest in Admiralty Arch. The iconic Grade 1 listed building presented a rarely seen opportunity to acquire one of London’s instantly recognisable and internationally renowned land-marks. Accurate measurement details of the whole building were vital in order for Savills to maximise its marketing campaign behind the sale of the building which is arranged over a basement, a lower ground floor and five upper floors. Savills required delivery of final AutoCAD files within eight weeks. Plowman Craven was commissioned to update a measured building survey it originally undertook in 1999. Additionally, there was also an area referencing requirement for calculated areas and external, light-well and internal sectional elevations. Because of the highly sensitive nature of the project, access was extremely limited and it was necessary for the team of surveyors to be escorted the entire time whilst on site. 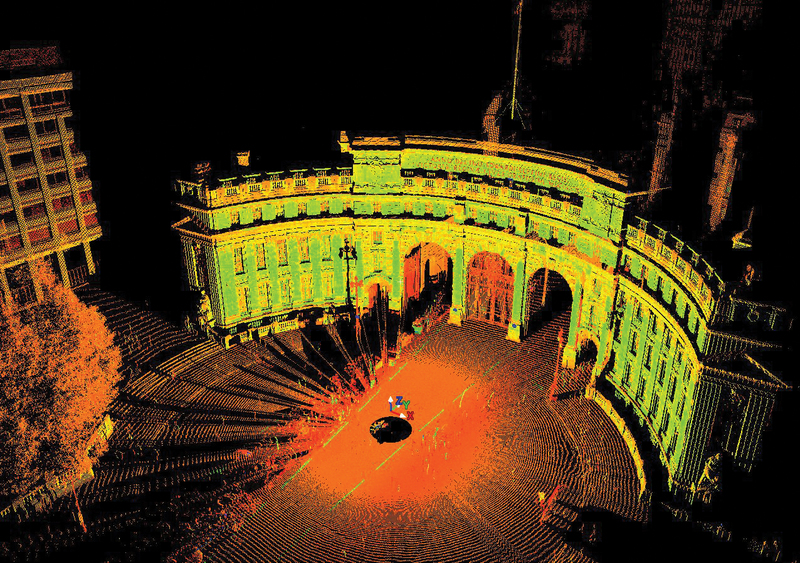 It took just three days to complete the scanning process utilising a Leica C10 scan station. Further processing and a focussed project management approach, including progressive delivery, enabled the full project to be delivered well within the required timeframe. Subsequently, Savills was able to market the property to its full extent and in August 2013, Westminster City Council granted full planning permission for the restoration and conversion of Admiralty Arch into a 100-room hotel, residences and private members’ club. The precise measurements delivered by Plowman Craven will assist its new owner in any change of use and development of the property. Plowman Craven was extremely professional in its approach to completing this highly sensitive project. The survey data has enabled us to market Admiralty Arch to its full extent and we are looking forward to seeing development proposals from potential purchasers.